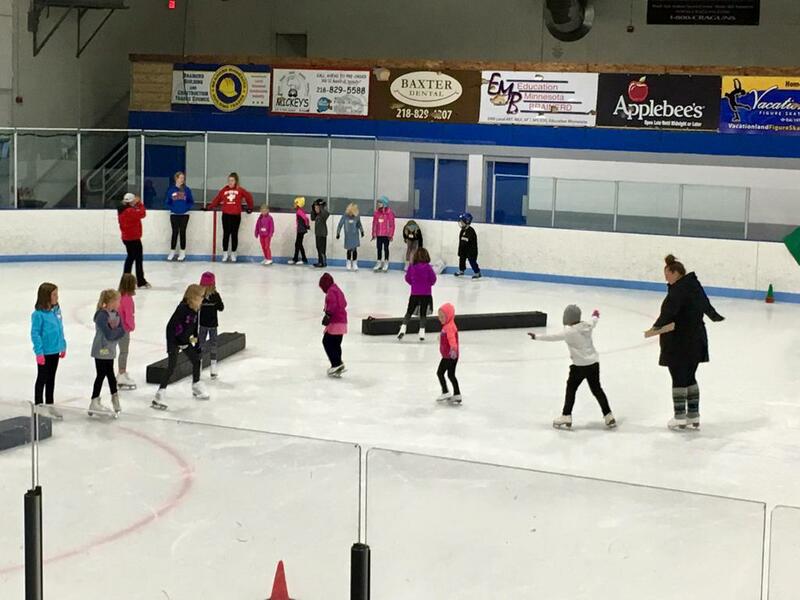 Our Learn To Skate classes are designed to develop skating skills used for figure skating, hockey, speed and recreational skating. All classes use the Learn to Skate USA Curriculum. Before registering please plan ahead! You will need to create a SportsEngine account and visit the Learn to Skate USA site and obtain membership with Learn to Skate USA. Whether you are brand new to skating, have taken lessons before, or just love to skate outside, we have the perfect class for you! There are options for ages 3-5, beginners age 6 and above, and classes for the more advanced skaters. Take look below to see which class is best fit for your skater. Learn To Skate Classes are for Age 6 years old and above. We offer a fun atmosphere to teach skating and help people learn new skills. This class is for beginners and skaters who have been in lessons before. Throughout the season all skaters will be given an evaluation card to show the progress made and move them up to different levels when they are ready. These classes are a combination of on and off ice that provide the best foundation for figure skating, hockey, recreational, and speed skating. Upon completion of these levels, skaters will be able to confidently advance to more specialized areas of skating. This class is for all skaters who have passed Badge 3 and above who would like to skate 2 days a week. LTS Plus is the next step for any skater looking to become more invested in the sport of figure skating and who wants to skate an additional day! This class is designed to teach skating skills at a faster pace in a high-energy small group lesson environment utilizing the full sheet of ice. We off a Learn to Skate Hockey with that follows the Learn To Skate USA curriculum. This is open to new skaters who want to learn Hockey Skills. For those interested in Hockey, the curriculum is designed to teach the basics of stance, stride, knee bend, edges, etc. to be successful in hockey. Please note on your registration form that you are registering for the hockey class. Bonus skill: front to back and back to front turns (stationary). We will have 6 Coaches involved in all aspects of our Learn To Skate program. Click below for a short Bio on each Coach.